First and foremost I ride bicycles, I talk bicycles and I read bicycles. I spent my childhood/early teens escaping my home town of Dudley every weekend to North Wales indulging in all things outdoors. 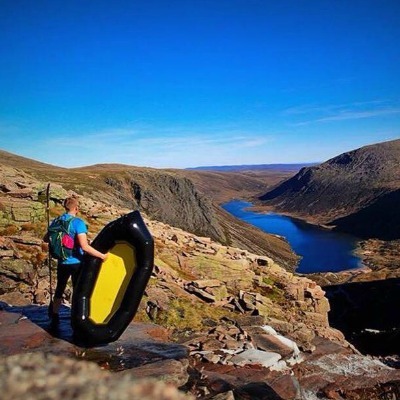 After a stint in the army I moved to Scotland and started working in the outdoor education sector. This career path has given me a world of experience and really fanned the flames of adventure in me but has also made me want to give other people that adventure too. This is where Back Country.scot comes in. We aim to deliver experiences and adventures in one of the most naturally beautiful places in the UK and the world. Whether it is an epic loop of the Cairngorms or a loch side skills course I’m sure you will go away with more than the ability to pull a wheelie. Let’s look beyond that little sanitised loop that is the trail centre. Don’t get me wrong: I love a blast round the local Laggan Wolftrax but it’s hardly a high mountain top looking down a glacial glen at the white sandy edges of the emerald green loch. Here at Back Country Biking we would love to help you develop the extra skills needed to explore your own mountains how ever big or small.